On 30th January right after 57th Filmfare Awards at Reliance MediaWorks.A part was hosted by Saja Dutt.The Party was attended by Other Bollywood celebrities at the event included actors Ajay Devgn, Abhishek Bachchan, Priyanka Chopra, Karisma Kapoor, Chunkey Pandey, Jackky Bhagnani, Rishi and Neetu Kapoor, Minissha Lamba, Zarine Khan, Arbaaz Khan, Vivek Oberoi and wife Priyanka Alva, Sanjay Kapoor with wife Maheep, Mallika Sherawat and brother Vikram Lamba, Arshad Warsi, Amisha Patel with brother Ashmit Patel; and directors Milan Luthria, David Dhawan and Inder Kumar. 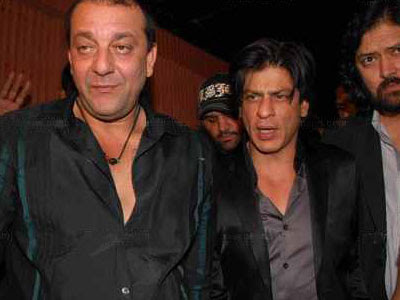 According to sources Dutt who had to intervene and separate the two, also slapped Kunder for allegedly sending lewd messages to his wife Manyata and for misbehaving with a girl at the party. The Twitter world erupted as soon as news broke, with news sites and fans wondering what the fuss was all about. It wasn’t long before, both Farah Khan and Shrish Kunder were trending on the Indian microblogging site, with rumours flying over what really happened.